These muffins are great as a super filling grab-and-go breakfast. 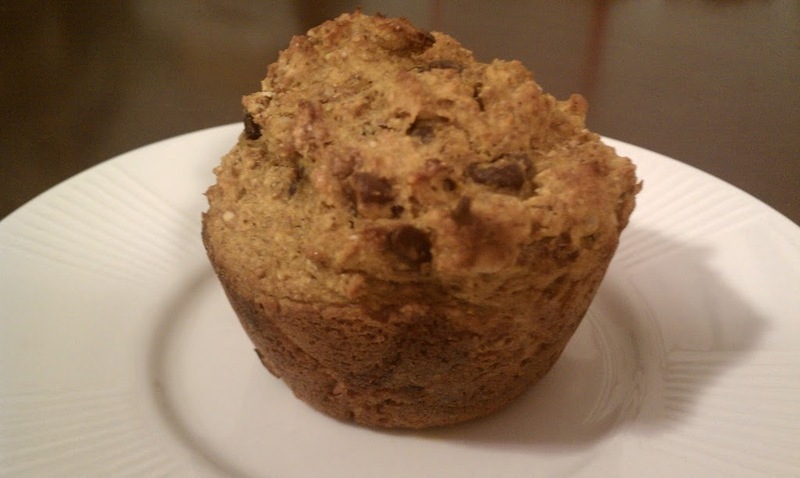 The pumpkin and chocolate chips taste yummy together and serve as a tasty spin on typical bran muffins. 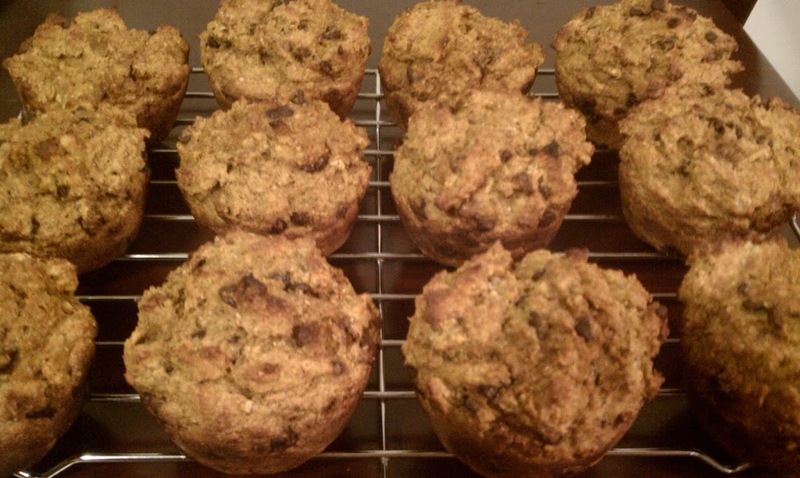 These are thick, dense muffins and do a great job keeping you full for breakfast or a snack. My mom came up with this recipe and any time she mentions she made these I seem to turn up to visit within a day or so. It’s a not a coincidence. Thanks Mom! Preheat the oven to 400. Spray 12 muffin cups in a pan with cooking spray. Mix together flour, whole wheat flour, brown sugar, baking powder and pumpkin spice. In a separate large bowl, mix cereal, milk and pumpkin. Let sit about 2 minutes to soften. Stir in egg and applesauce. Then add dry ingredients, chocolate chips and nuts. Stir until just blended. Put mixture in muffin cups and bake about 22-25 minutes. These sound so good. I am really happy I found your blog, I am doing WWs and I love that you post the points! Thanks, I’m glad it’s helpful! I love these muffins – if you make them let me know :). Way to go hubby! That’s so great that he is making WW friendly recipes to support you on your journey. I’m glad you liked them. Thanks for commenting. Yum! I just made these and they are delicious!!! Thanks for all the awesome recipes! I am definately going to make these for my kids for a perfect breakfast before school..I will throw in some flax seed and a bit of protein powder as well but they love pumpkin muffins so these should be a hit!! Could you omit the white flour and use all ww flour? Will omitting the walnuts alter the PP value? I found your blog by accident but its fantastic I have to say. I will be following you on here and making some of your recipes and hopefully be well on my way to Goal with Weight Watchers.